Yesterday, before it started raining, I did a little spot of gardening to re-pot a couple of shrubs that were getting a little pot-bound. Their roots were being compressed for being in too small a pot. 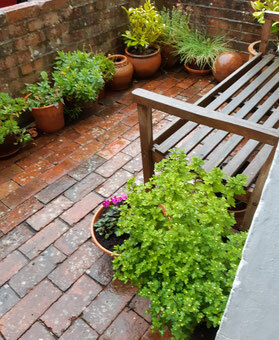 I put them in larger pots, added some new fresh compost and gave them a good water...then it rained! This morning when I looked at them, ridiculous as it may sound, they looked happier -more vibrant and perky. and it made me think about human beings. Firstly being in nature is very good for us. 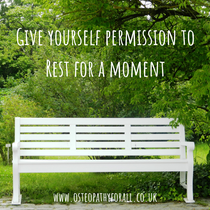 Connecting with the ground and breathing the fresh air so getting out in the garden even for a few minutes boosts us. Also our bodies are so much better if they are well hydrated and well fed. So ensuring that you are drinking enough water each day is important and getting as much variety of nutrition. To check out more information why not have a look at our HYDRATION and EAT A RAINBOW pages by just clicking the words. The other aspect that made the plants look better was space for their roots. In our busy lives we are often lacking space...the space to relax, the space to rest, the space to exercise, the space to connect with our fellow humans and the space to breathe. 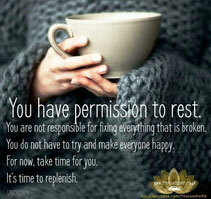 It is important that we give ourselves permission to have some space. This might be achieved by gently declining something we really feel will not nurture us or having a social media free day a week or just putting some free time in the diary. 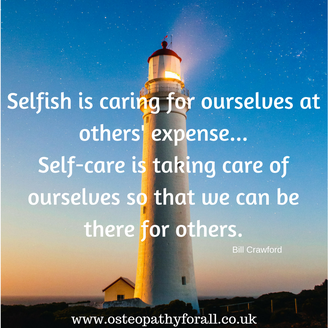 We are unable to function efficiently or to help others if we are depleted so maybe spend a few minutes this weekend re-potting and nurturing yourself.